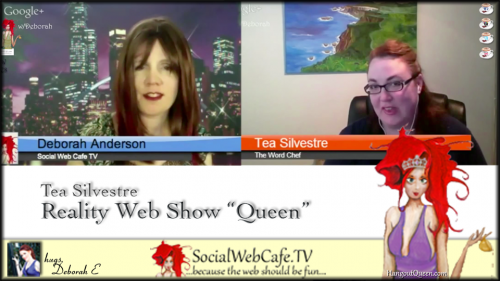 We interviewed Tea Silvestre of TheWordChef.com. I first met Tea through her project, ProsperitysKitchen.com, which I just love! What is not to love? This brilliant lady combined her marketing experience and expertise into a creative reality tv meets web show using my favorite platform, G+ Hangouts On Air!